WhatsApp is now available for all platform and all devices. Also, the user can install WhatsApp on PC and start using his computer/laptops. 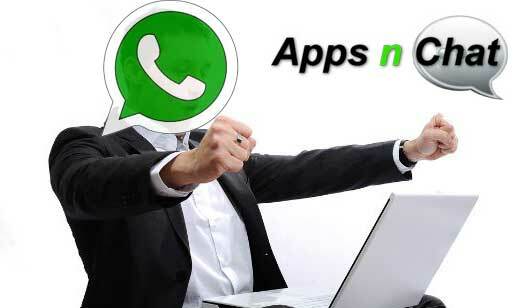 WhatsApp is more popular for its user-friendly virtue on the PC version. Connect to the cross such as Android to PC via this wonderful PC version communication application. WhatsApp for PC is available on the official website. This software’s (.exe) windows computer version is stored in our hottie secure server for download. But you need to know first how to use WhatsApp on your PC, you need to follow the steps below. The WhatsApp wiki articles are waiting for you! Read more information about using WhatsApp. Download the WhatsApp for your computer according to the operating system. When you open it, you will see the large QR Code. Then open your WhatsApp on your mobile phone. So now go to the settings option. Then find out the WhatsApp Web version. Now scroll down. Then choose the Scan QR Code. Now hold the Smartphone up to scan this code. Then everything will happen automatically. Just point the camera correctly to the code. Then the WhatsApp will be opened immediately. You can now use this WhatsApp on your computer. The above steps are generated by our head of the team manager of the section of WhatsApp. We test every step before sharing on appsnchat.com. If you have an Android device; you need to know how to use WhatsApp on Android devices. This article is a wiki-based article for WhatsApp user. So questions are welcomed from you! Have you any asking about this topic? Please inform us to leave a reply in the comment box. Using WhatsApp on the computer is as like as the process of using on mobile. So, you see that it is quite easy and you have no question on How to use WhatsApp. Enjoy WhatsApp to connect you with your family and friends. However, I think it is the best messaging app.